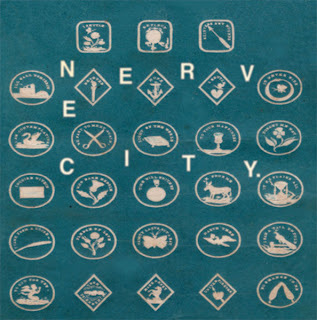 The first release I heard from Nerve City was the "hell" cassette which completely blew me away and not in a good way at first. The amount of fuzz was, at the time, too much for me. But as I continued to listen, the awesome pop aesthetic began to seep through all the fuzz. Like the chant of a shaman in a trance lost in the desert, Nerve City's voice echos and fades away leaving listeners in a similar mental state as the figurative shaman. This is pensive loner music - the kind of stuff that one would listen to on a contemplative night. The person behind this music has been featured on various record labels such as HoZac and Sweet Rot and has already built an impressive catalog of 7" singles and cassettes. My favorite release being the Catholic School demo. Must listen to songs on the latest LP include: Living Wage, The Creek, and Junkyard.